A Conservative Member of Parliament has launched a scathing, anti-Semitic attack on pro-Israel groups in the United States during a Backbench Business Debate in Britain’s House of Commons this evening. 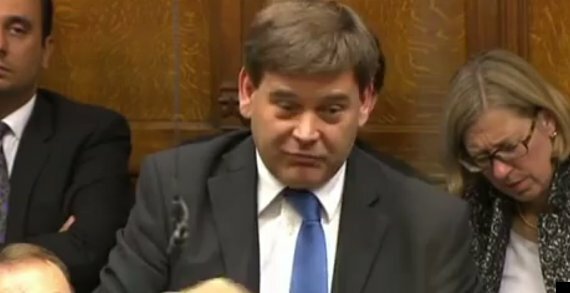 Andrew Bridgen, who was accused of sexual assault in 2011, made the statement as he indicated that he was set to support a motion proposed by notorious anti-Israel MPs recognising the State of Palestine. The vote passed by 274 in favour to 12 against, and Mr Bridgen’s comments were picked up by commentators online as being deeply anti-Semitic in their tone. Mr Bridgen’s comments give fuel to the anti-Israel lobby in the UK, and echo statements made by a number of anti-Semites. According to the European Monitoring Centre’s definition on Anti-Semitism, equating the actions of the State of Israel with Jewish people as a race is classed as anti-Semitism. It is not yet clear whether Mr Bridgen misspoke, or whether he believes the sentiments to be true. If it is indeed the latter, he joins the ranks of David Ward MP, Grahame Morris MP, Baroness Jenny Tonge and George Galloway MP for making anti-Semitic comments and conflating the “Jewish lobby” and the State of Israel.